Lightning: D-Day out now on iOS, Android, PC and Mac! 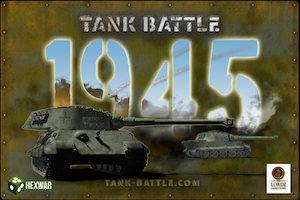 This 1 on 1 card game recreates the drama of the day Allied soldiers went ashore in occupied France, 6 June 1944. Each of the historic landing beaches – Sword, Juno, Gold, Omaha and Utah – is represented by its own card, as are the defending German divisions and attacking Allied units. The Allies must marshal their resources to gain and secure control of as many beaches as they can by day’s end: a run-through of the 110-card deck. However, the Axis has the starting advantage; the Allies need to avoid being caught dead in the water. Although most units are preassigned to a beach, each game is won or lost by the placement of cards that provide additional forces or support. Not only is the state of each beach important to consider for these decisions, but also the geography of the coastline – after a beach has been won, the victorious forces can flank adjacent beaches. Both players must always be thinking ahead, looking for ways to best utilise their cards down the line. Enter code: ‘DDAYLAUNCH’ when placing your order to apply a 10% discount! Civil War: Bloody April Released! Civil War: Bloody April is based on the board game of the same name and is part of the ‘Great Battles of the American Civil War’ series of games, recreating the significant battles of the American Civil War. Bloody April focuses on the Battle of Shiloh which was fought from 6th to 7th April 1862. The Union Army of the Tennessee, under Major General Ulysses S. Grant, was encamped at Pittsburg Landing, on the West Bank of the Tennessee River. The Confederate Army of the Mississippi, commanded by General Albert S. Johnston, launched a surprise attack on the morning of 6th April. Unprepared for battle, the Union forces suffered heavy casualties in the first hours of the fighting but held their position at Pittsburg Landing. Overnight the Union were reinforced by the arrival of Major General Don C. Buell’s Army of the Ohio, and launched a decisive counterattack on 7th April, driving the Confederates from the field. Civil War: 1861 is out now! In 1861 both sides have plenty of volunteer recruits who, though enthusiastic, lack battlefield experience. On the weaponry side much of the equipment still belongs to the Napoleonic Era with a plethora of muzzle loading, smoothbore artillery. We’ve just put up information about our next iPhone, iPad & Mac release. We’ll let you know once we have a confirmed release date! 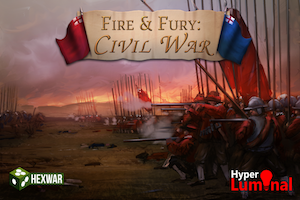 Fire and Fury: English Civil War released! Fight the various battles of the English Civil War between the Parliamentarians and the Royalists. Each campaign is themed around fights between these two factions during various different years of the campaign. Capitalize on strategic advantages to turn the tide of war in your favour; ride down your foes with valiant cavalry charges, hold the line with bristling ranks of Pike and Shot or strike from afar with musket fire and huge pieces of artillery. Will you emerge victorious or become another casualty of war? 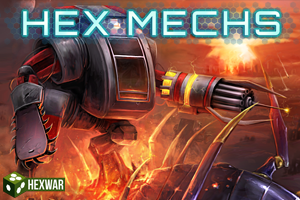 The latest update for Hex Mechs for iPhone & iPad is out now and includes a brand new Martian campaign which can be purchased for just $0.99! Humans first settled on Mars midway into the 22nd century. Isolated for hundreds of years, the Colony on Mars grew into a religious order. In this new 8 mission ‘Mars’ campaign, you get to command the The Holy Gravidus Republic (HGR), battling both the Earth Coalition of Nations and Insectron forces! In the year 2523, a large wormhole opened up on the outer limits of Jupiter’s orbit. E-CON’s Navy stationed on Jupiter’s moon Titan were the first to witness as the vast Insectron horde spewed out of the rift torn upon in the Solar System. 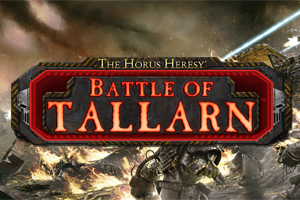 Battle across various worlds in this futuristic turn-based strategy game. Utilise a vast array of units to defeat your foes while minimising losses. Missions are varied and challenging and include objectives such as capturing an objective, defending a base and, of course, annihilating the enemy!